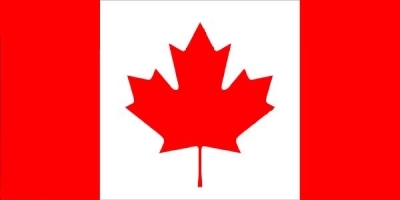 As many of you should probably know, today is Canada day! My new avatar (top left corner) already advertises the fact I am Canadian (and my domain), yes those red things are leaves, not hearts (as some people have thought they were hearts). Now, today being Canada Day (have I mentioned that enough? :P) I thought I would write up a post about some of the great video game companies (and their games) that were founded in Canada. So here goes, I’ll mainly just list the three big ones to keep it short. BioWare was Founded in 1995 by Ray Muzyka, Greg Zeschuk, and Augustine Yip in Edmonton, Alberta. With great games such as Baldur’s Gate, Jade Empire, and Dragon Age Origins. Relic Entertainment was Founded in 1997 by Alex Garden and Luke Moloney in Vancouver, British Columbia. Some games Relic Entertainment has developed are: Homeworld, Warhammer 40,000: Dawn of War, and Company of Heros. Of course who can forget Ubisoft Montreal, originally founded in 1997, Ubisoft Montreal was founded as a subsidiary of Ubisoft. It started out with developing low-profile projects and now the studio is one of the largest in the world. Developing awesome games such as Prince of Persia: The Sands of Time, Tom Clancy’s Splinter Cell, Donald Duck: Goin’ Quackers (just kidding, they did develop it though), and finally more recently, Assassin’s Creed. Well, there you have it, three great video game companies founded in Canada, for a list of some more Canadian video game companies visit this wikipedia page hope you enjoyed this brief history lesson of one thing that makes Canada so great. Before I end this I thought I would just mention that Steam is having a massive sale on A LOT of games (hence massive :P), check out their main store page for the best deals of the day but hurry, it’s only until July 4th! And finally… that’s it! Thanks for reading and Happy Canada Day!